We are pleased to share this beautiful piece written by Cathy Anthony. One of the first signs of spring is the budding and blossoming of a brilliant yellow blossom called the dandelion. Is it a weed, a flower, or something else? It depends on your perspective. That’s the lesson my son Joshua taught me – the importance of opening one’s mind, and heart and blossoming to a new world view. The story goes like this. It was April, that early spring season that carries renewal and hope. Josh was a wee lad of 5 or 6. We were on our way to pick up his big sister after school. As we strolled and rolled, we passed a neighbour’s large grass yard. It was filled with an abundance of dandelions in full bloom. Josh turned in his chair, pointed at this vibrant display and proudly said with a huge smile – “roses”. What would you say? My mind automatically went to say…”no Josh, those are weeds called dandelions”, but I was moved to silence. I took another look. Thoughts began to flow. A new response was forming. And a profound lesson was blossoming. I gazed upon this glorious display of brilliant happy yellow flowers. That’s when I knew. I smiled down on Josh and said, “Yes Josh, those are God’s beautiful roses! Oh so pretty.” And my heart settled into a gentle place of appreciation, gratitude and peace. I began to reflect on this message from my son, my teacher. Many symbolic thoughts came to me and still do today. Is this the way we see things in life? Is this how we see people – as weeds or roses? Is this the way we view the world? Our perceptions can be very black or white – right or left – right or wrong – whole or broken. We have a sad history in who and what we value, or reject. Why are roses prized and cherished even though they have thorns that make them difficult to get close to, while dandelions are weeds and therefore an annoyance and problem. Even though in our childhood purity, dandelions are typically the first gift of generosity a child plucks to present as a gift to a loved one. Even though they transform into magical wands that we blow on to disperse the dainty ‘fairies’ to transmit our wishes and hopes into the universe. And even though they are the nectar for wine. What conditioning led to one having more value than the other? And then I was clear. I knew I wanted to live my life seeing the unique, individual value and beauty in everything. Two years ago my son passed on at the age of 32. Josh had been a gifted philosopher and teacher. He had changed my world view and me. And he has influenced many others. Josh taught me to look more deeply. To put aside previous mindsets, stereotypical labels, and to be open to new ventures, insights, and experiences. At Josh’s Celebration of Life, holding a bouquet of dandelions, I shared this story of the Dandelion and the Rose – the Dandy Rose. Following, I began to receive many stories and pictures from those sharing “Dandy Roses” they saw in life. They had a new world view. When I walk in the forest and nature and I come across a cluster or field of yellow glory, I stop and point out to people the beauty of Dandelions – the Dandy Rose. Some get it, some don’t – yet! Regardless, I want to share Josh’s teachings or at least plant a seed. So, I continue to see the wonder this message gave me and to share the story of looking for the beauty in all. I delight in and harvest dandelions. I try to live my life honouring my son’s gift to me. Which is why I have created a small annual Josh’s Dandy Rose fund. I want to further Josh’s inspiration and to listen and support small silent wishes that blow in the breeze. 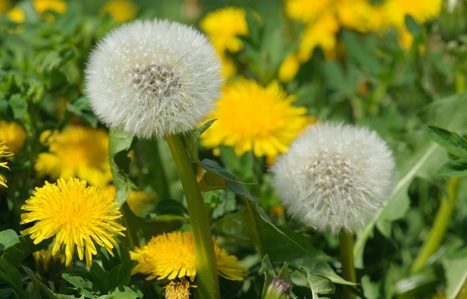 It was through the eyes of a wee child – with purity, free from judgement, prejudice, and preconceived ideas, that the beauty of dandelions was revealed. And the deeper message, the gift of diversity. It’s there for us all – if you have open eyes to see it. I invite you to stop, hold still, and look deeply, with curiosity and open eyes. What do you see?